The building two doors east of Miracle Mile, 4995 Excelsior, was built at the same time as Miracle Mile. The building was supposedly built by Si Rutherford, and was indeed called the Rutherford Building, but records seem to indicate that it may have been built by Shelden Thomas, the builders of Miracle Mile. (And today it is owned by the owners of Miracle Mile.) 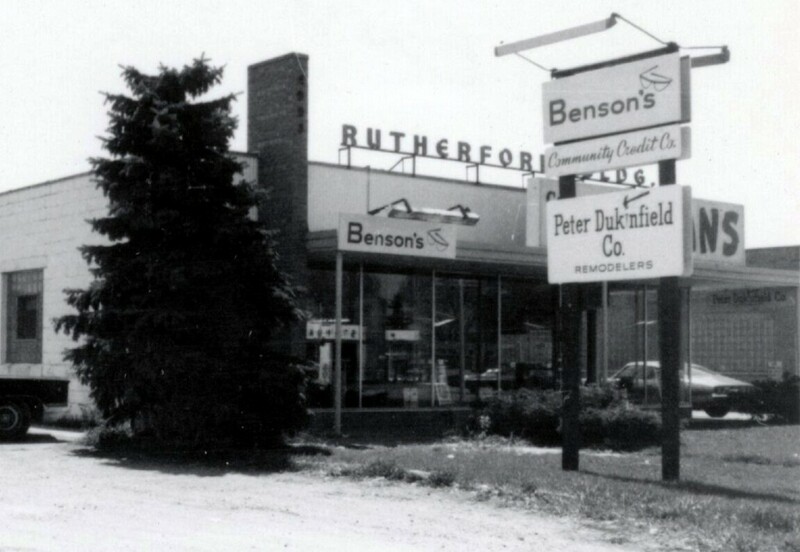 Rutherford had to move his lawn and garden store when his first store was displaced by the east end of Miracle Mile, so it may be that Miracle Mile built his new store for him. The building had a meeting room in the back that Rutherford rented to the Jaycees and other groups, as well as for weddings, birthday parties and such. He rented out the second floor to Sandvig and Sandvig. Si stayed in business until at least 1954, but by 1958, tenants were moving in, including Benson Optical. Apparently too many tenants, for in 1970 the City claimed that the building was built for 2 tenants, not 3. Frank Stengel ran a factory surplus showroom from about 1975-1980.